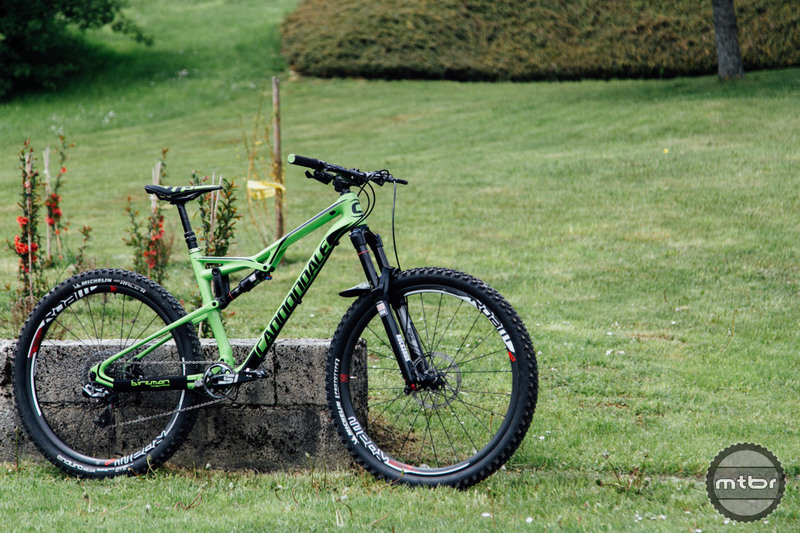 When Jereme Clementz isn’t racing his 150mm travel Jekyll, he’s riding the short travel Cannondale Habit. When he’s not out racing, Clementz often rides smaller travel bikes for fun. 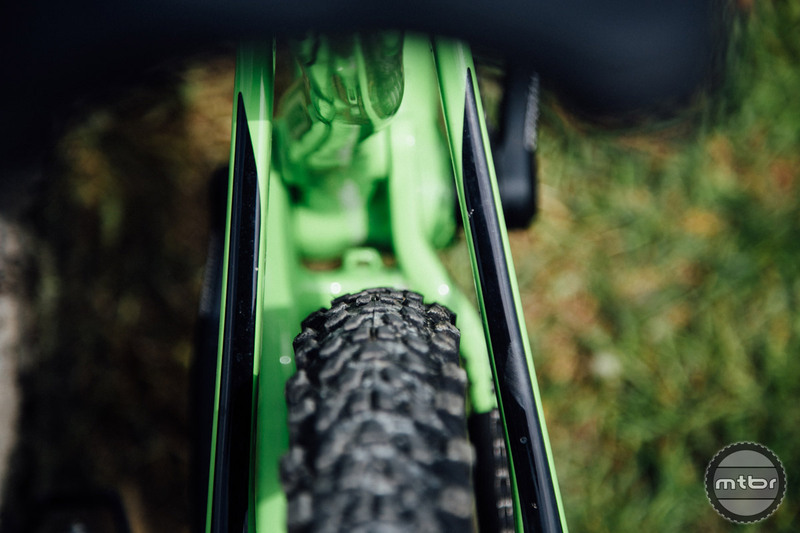 When we caught up with him at a recent press launch, the Frenchman was on the Cannondale Habit, 1 27.5 bike with 120mm of travel that straddles the line between XC and trail. 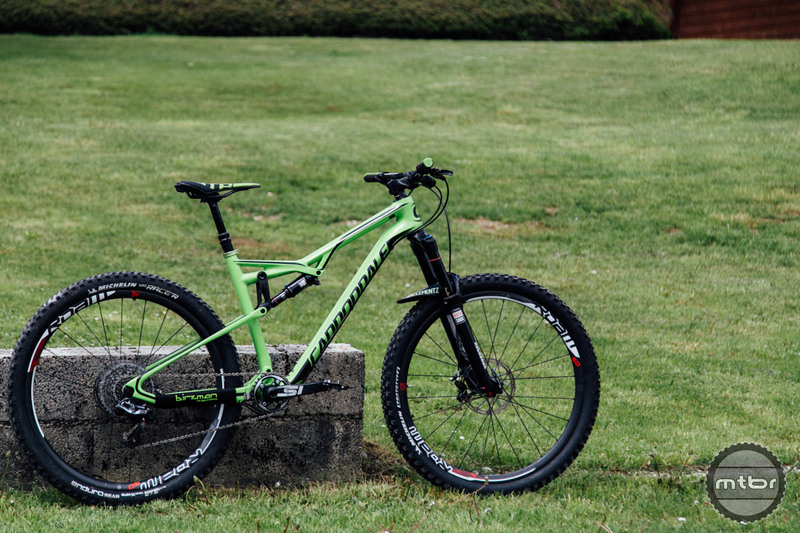 Learn more about the Cannondale Habit in this Mtbr First Look. WTB Padlock grips for Clementz. While mere mortals may not have issues with our grips slipping, it can be a problem for world class pros. 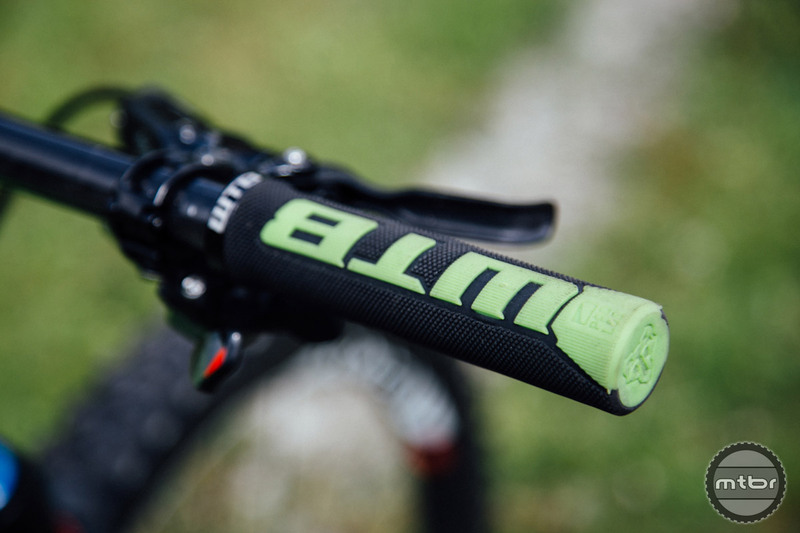 To eliminate that risk, Clementz runs WTB padlock grips. Of course Clementz is using his signature bar. Rumor has it new graphics are in development. Never heard of Padlock before? 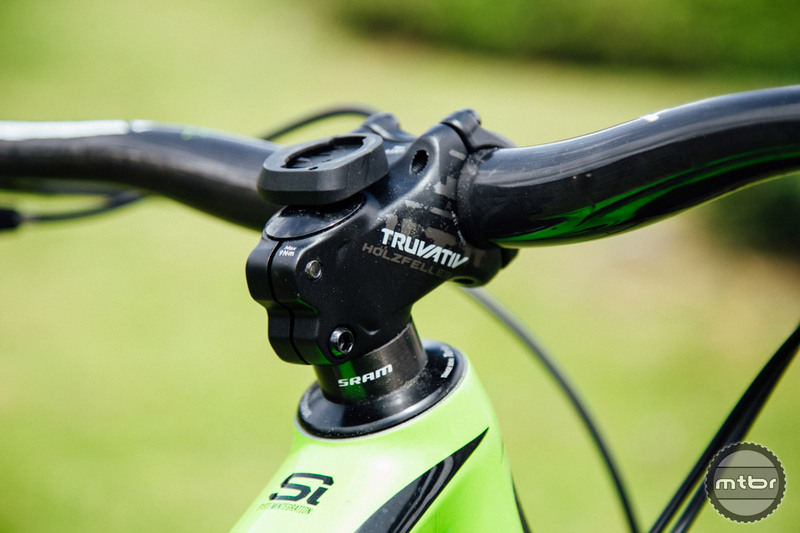 To run them, you have to lop off a section of your handlebar tips. The grips then lock into this space via a large wedge. It’s a simple idea that not only prevents slipping but is claimed to improve comfort. Check out the angle of his levers. These things are primed for the steeps. Another thing to note about Clementz’s cockpit is the angle of his brakes. Like many of the world’s fastest, he runs his levers almost horizontal. With an MSRP of $60, this Truvativ Holzefeller stems is downright affordable. Best part of this build? The stem. 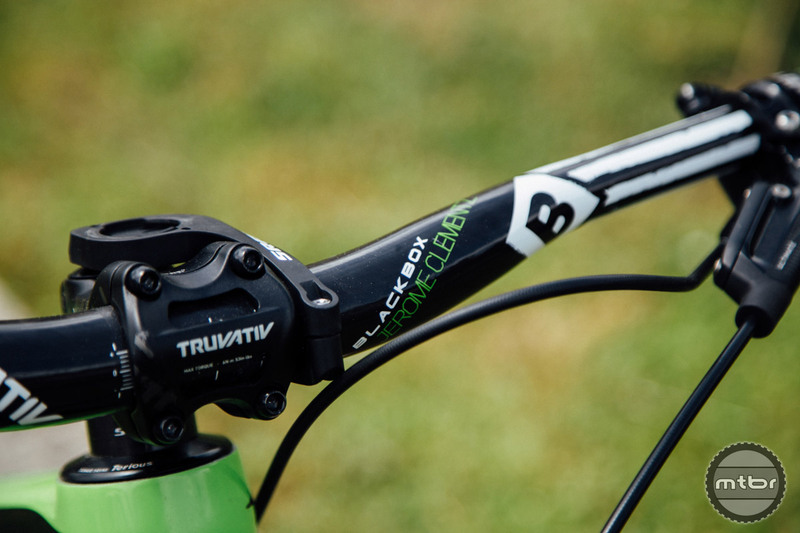 While every other part on this bike is the best money can buy, this stem is ordinary. It retails for $60 and wouldn’t be out of place on a $3000 complete bike. Yet here it is on a $10,000-plus custom pro build. 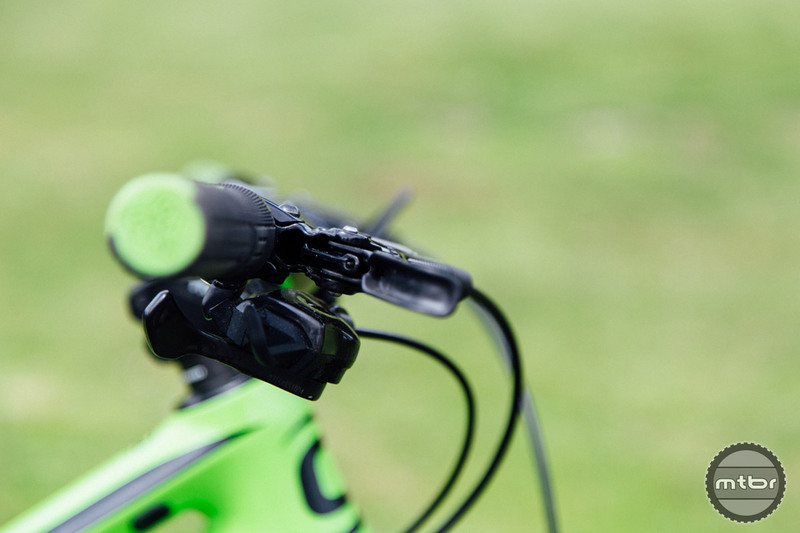 Whether it stems or bikes, Clementz’s input is invaluable for his product partners. 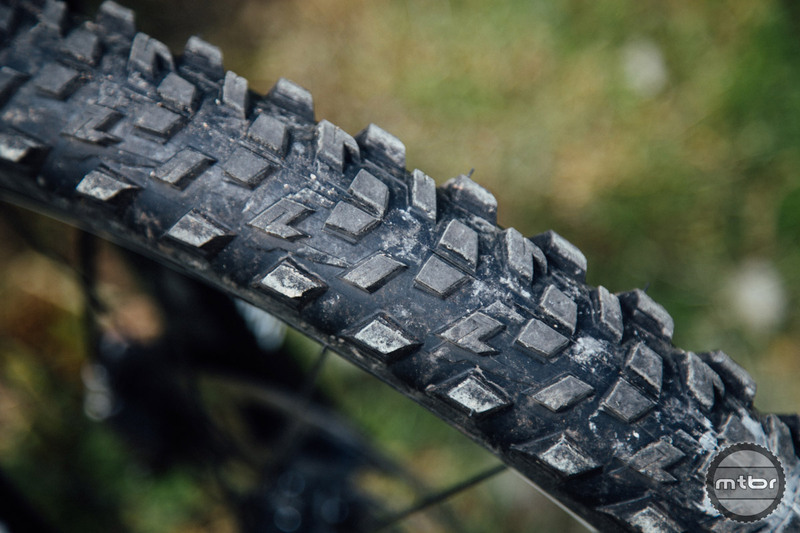 He’s constantly testing new gear, like this prototype Michelin front tire. 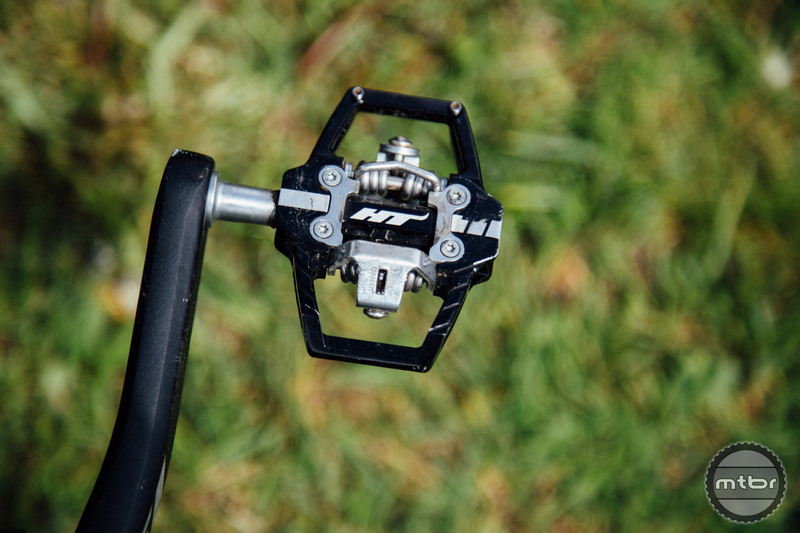 Despite the Habit being more on XC/trail bike, Clementz is running four piston disc brakes. 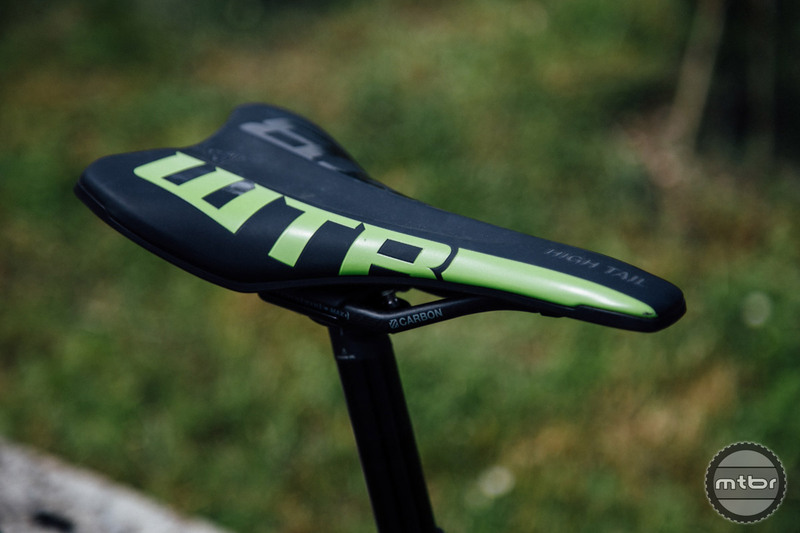 The WTB Hightail saddle has a massive cut-out towards the rear to prevent tire buzzing on long travel bikes. The rear cut-out also helps shave some grams. This one piece carbon linkage is 100 grams lighter than the alloy version. 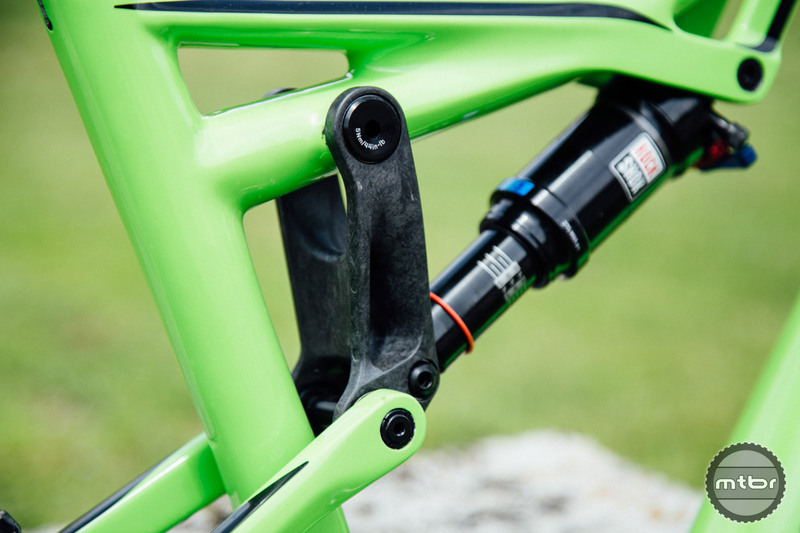 How cool is this one piece carbon linkage? 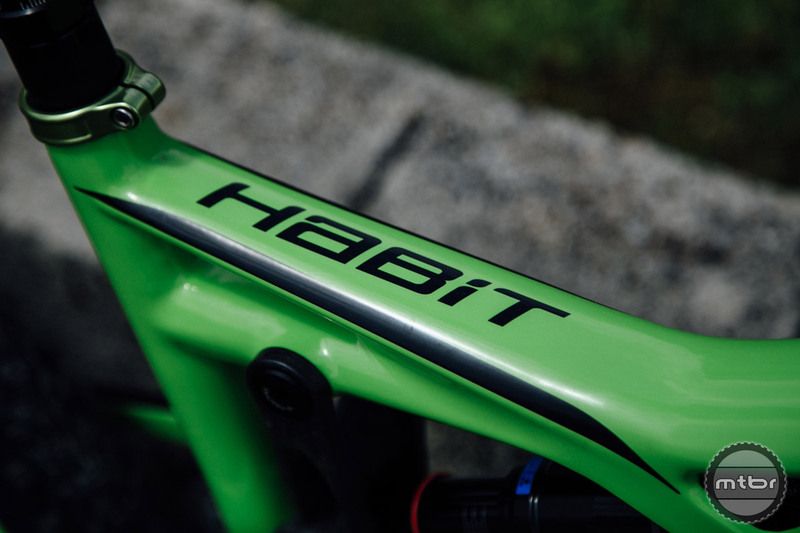 It’s found on the carbon version of the Habit and is claimed to save 100 grams over the forged and CNC version found on the alloy bikes. 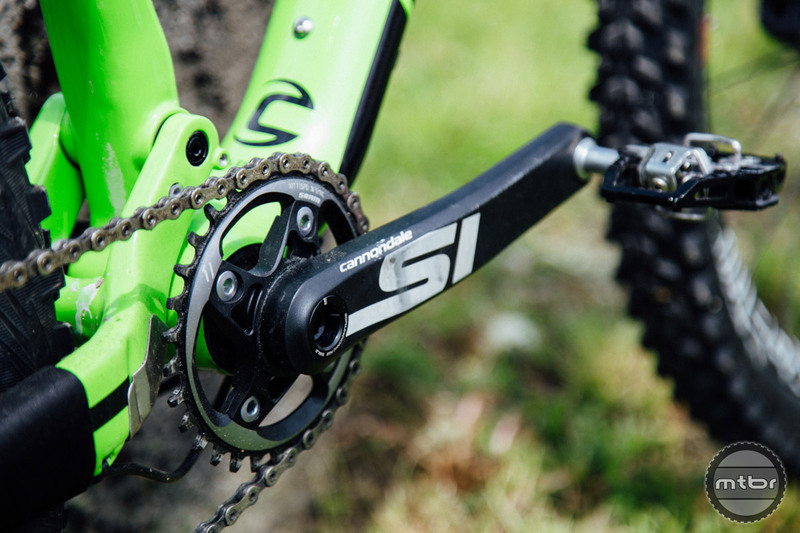 You don’t often see Cannondale SI cranks outside of XC racing, but they’re among the lightest (and most expensive) cranks on the market. The HT T1 weighs 368 grams and retails for $135. 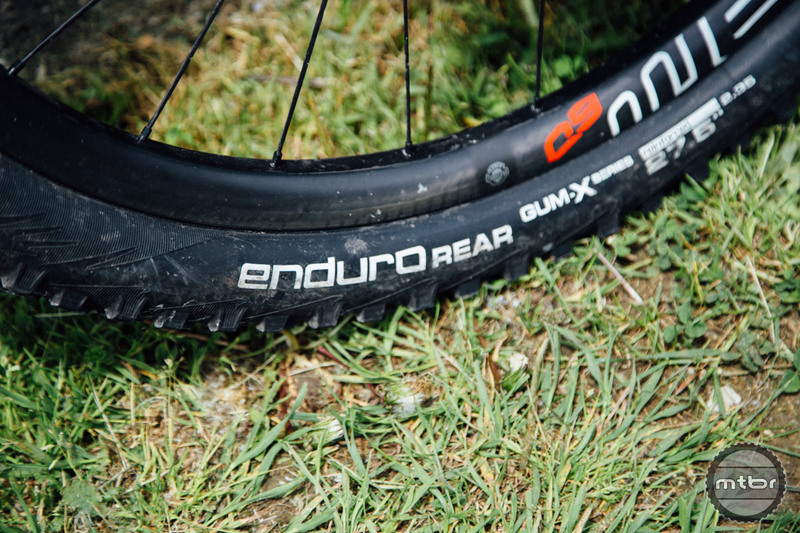 The Michelin Wild Race’r Enduro rear tire features shorter center tread and regular sized side knobs to gain a little extra free speed. The Habit has plenty of clearance for these 2.35” Michelin tires. 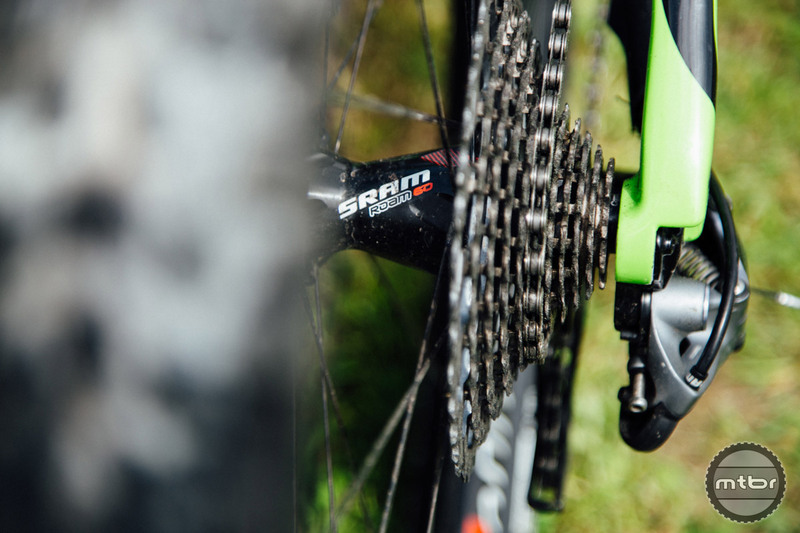 When we shot these photos, SRAM Eagle had not yet been released. We’re not sure what Clementz is currently running, but our money is on a 1×12 group. 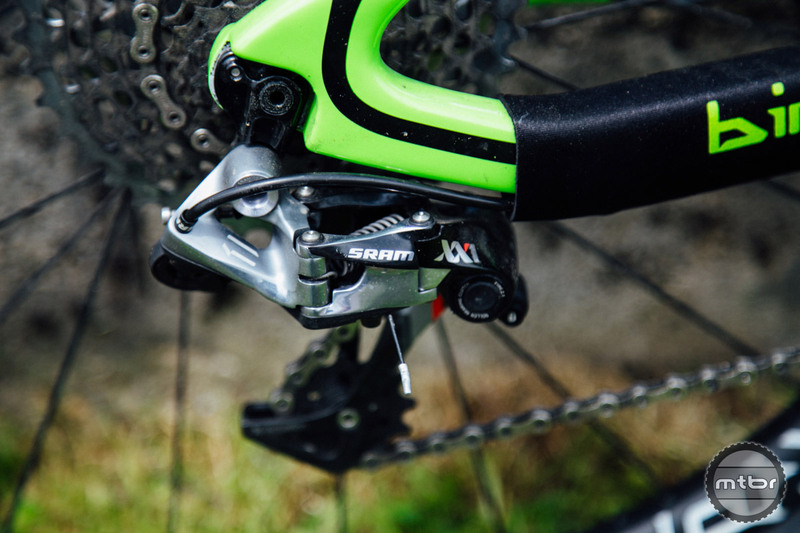 The Eagle has landed, but SRAM’s XX1 is still pretty damn sweet. Retail for this wheelset is around $2200. Ouch. To finish this custom build, Clementz has mounted up SRAM 60 Roam carbon wheels. This Habit is damn near perfect. What do you think of Jerome’s ride? Is there anything you’d change? When Jereme Clementz isn’t racing his 6” travel Jekyll, he’s riding the short travel Cannondale Habit. Of course Jerome is using his signature bar. Rumor has it new graphics are in development. This one piece carbon linkage is 100g lighter than the alloy version. The HT T1 weighs 368g and retails for $135. The Michelin Wild Race’r Enduro Rear features shorter center tread and regular sized side knobs to gain a little extra free speed. 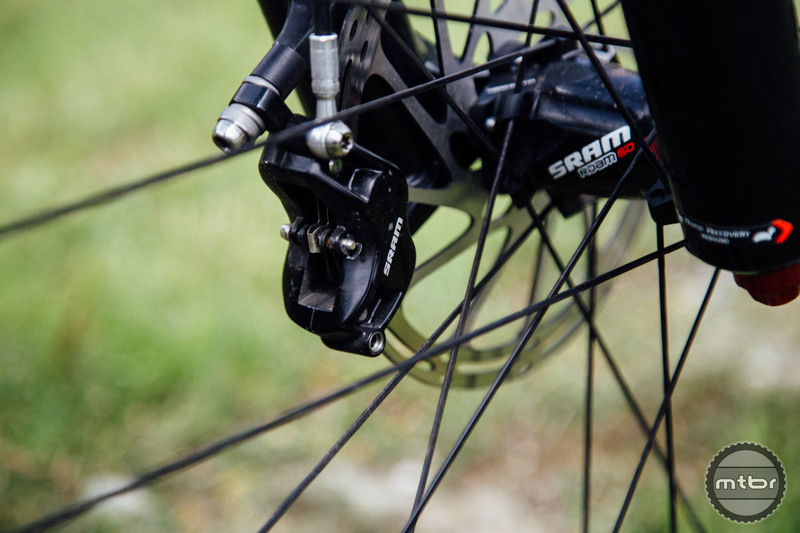 When we shot these photos, SRAM Eagle had not yet been released. We’re not sure what Jerome is currently running, but our money is on a 1×12 group set. Retail for this wheelset is around $2,200 USD. Ouch. Looks like marketing in full force. I’m on a nice “xc/trail” machine: ’06 Titus ML Talas 100/120/140. Times they are a changin back that is ! That crankset isn’t Cannondale’s super-light hollowgram crank – that crank is actually off of the lower-end carbon Habits (3 and SE).